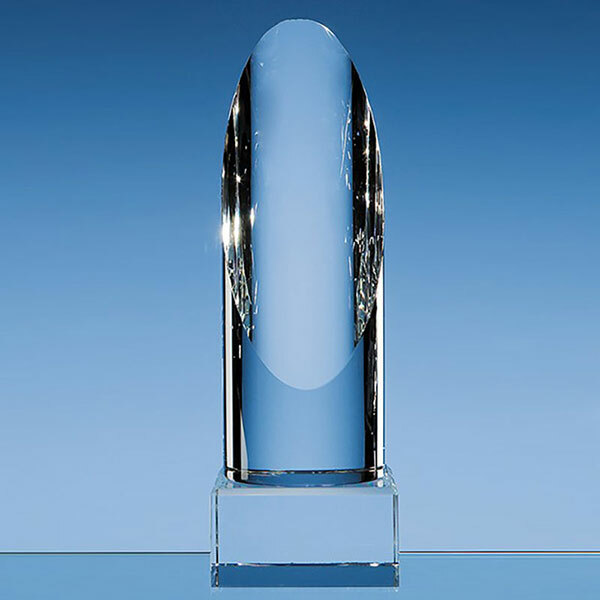 Optical Crystal Awards - fine quality 7.5in tall optical crystal awards in cylinder design, ideal for engraving as achievement awards. 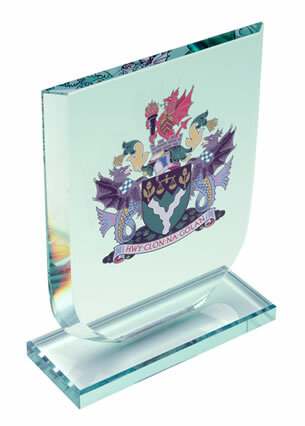 A cylindrical shaped optical crystal award, perfect for achievement or recognition awards. Handcrafted in flawless optical crystal, these 7.5in tall awards feature a diagonal plane cut from the top to about 2in from the bottom at the front. 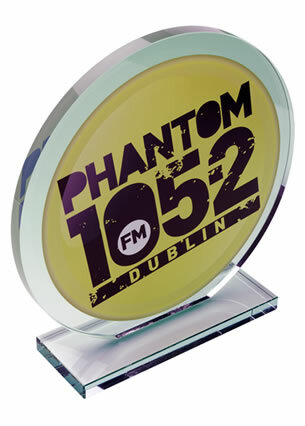 This sloping face is ideal for engraving, and these awards are offered with low-cost engraving of text and logos from Crystal Awards Supplier. These cylinder awards are also available in two smaller sizes, perfect for creating 1st, 2nd and 3rd placed awards. 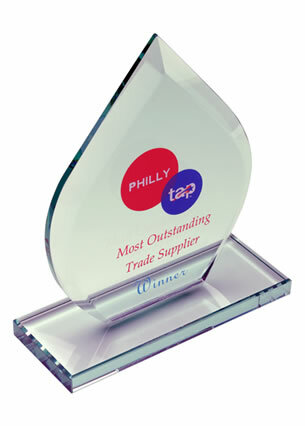 An optional clear optic base is available for these awards.